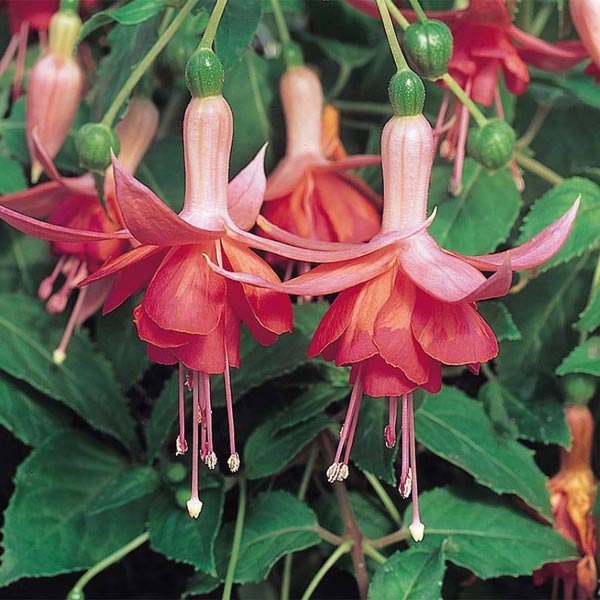 From the Van Meuwen pages: Heavenly frilled, fully double blooms swing from these trailing fuchsias all summer long, and well into autumn. 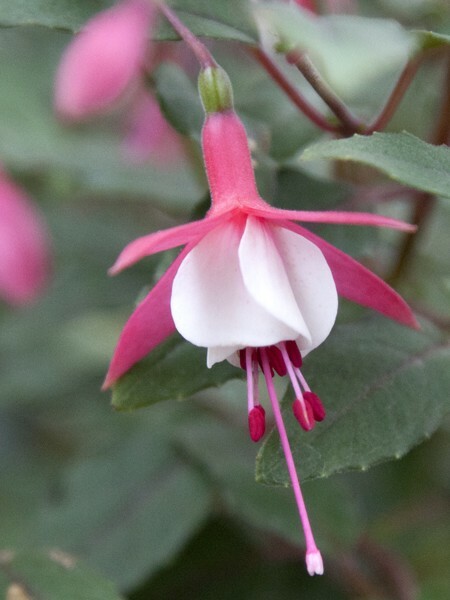 Grow double fuchsias as part of a mixed arrangement, or as a splendid show of their own. 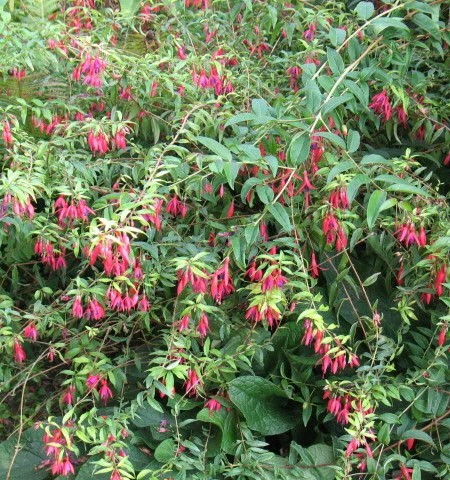 A long lasting and weather resistant display for baskets and containers! Full sun to partial shade. 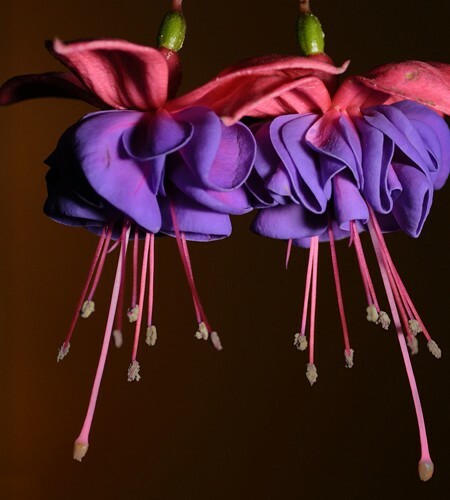 Photo courtesy of Van Meuwen. 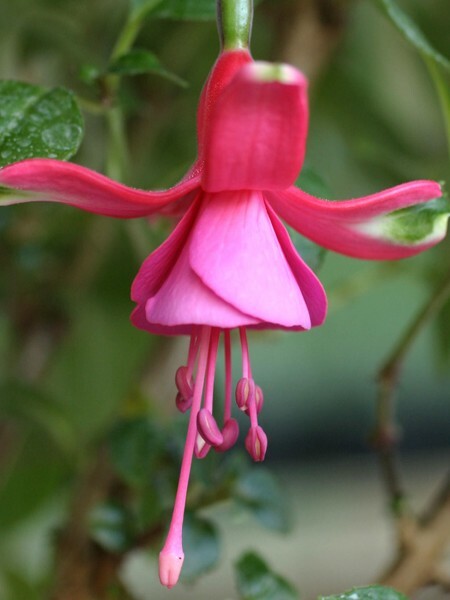 Be the first to review “Trailing fuchsia ‘Dancing Flame’” Click here to cancel reply.